Get a great deal on this Lodge Cast Iron Pan on sale for $17.07 (Retail $39.99). Lodge 12-Inch Seasoned Cast Iron Dual Handle Pan is a new spin on a classic design. Perfect for everyday cooking, from morning pancakes to roasted chicken dinners. Cast iron cookware is unparalleled in heat retention and even heating. 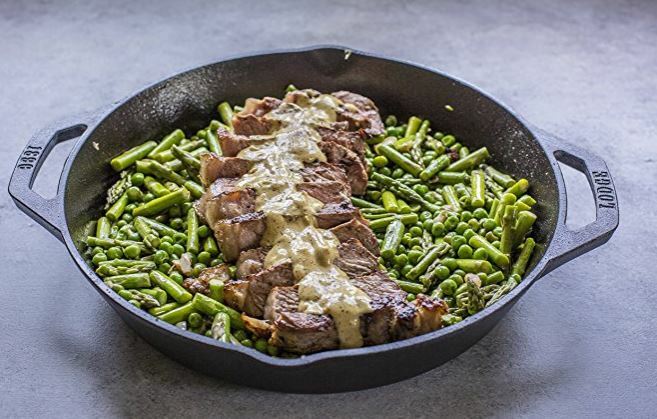 Seasoned with oil for a natural, easy-release finish that improves with use, this pan is the right tool to sear, saute, bake, broil, braise, fry or grill. At home in the oven, on the stove, on the grill or over the campfire – plus great for induction cooktops.